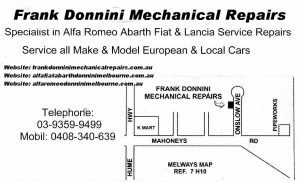 We are Located in 1/31 Onslow Ave. Campbellfield Near Gowrie Railway Station –(Glenroy ) & Keon Station Thomastown. 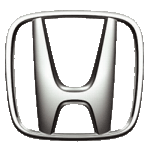 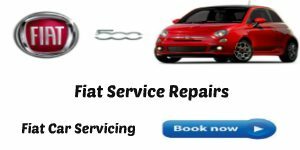 At Frank Donnini Mechanical Repairs we can complete your logbook for your new car without voiding your manufacturer’s warranty. 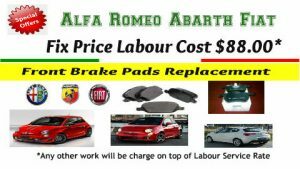 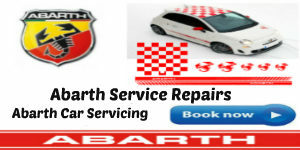 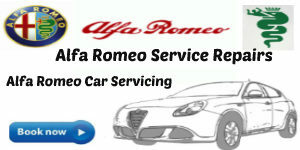 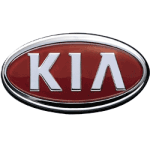 We provide a full range of garage services for all models of Alfa Romeo Abarth and Fiat.and European Local Cars.